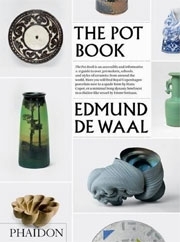 'The Pot Book' shows a comprehensive overview of the history of ceramics. The history of ceramic art is ingrained in the history of mankind. Clay is one of the very first materials ‘invented’ by man. An essential part of our lives it has been molded, thrown, glazed, decorated and fired for over 30,000 years in order to preserve and transport food and water. And it was on the surface of these early jugs, vases, dishes, plates, beakers and amphorae that man placed some of his first decorative markings. In more recent times clay has been used not just by artisans and potters, but also by artists, designers and architects. 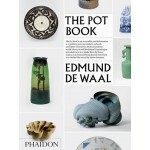 The Pot Book is the first publication to document the extraordinary range and variety of ceramic vessels of all periods, from a delicate bowl made by an unnamed artisan in China in the third millennium BC, or a jug made in eighteenth-century Dresden, to a plate made by Picasso in 1952, a ‘spade form’ made by Hans Coper or the vases of Grayson Perry today. Each entry is sequenced in alphabetical order by the name of the artist/potter, the school, or style, creating a grand tour through the very finest examples of the artform.